Over the last two games, the Colorado Buffaloes have scored 30 total points. In the game against Arizona State, the game before Stanford, the team scored 40. We are always so quick to blame baseball for being too long, but Thursday night’s game seemed longer than any baseball game I watched this season. The 25 penalties between both teams (including a bunch of unsportsmanlike conduct penalties that hurt both teams tremendously), five turnovers and the fact that the game was on National television (FS1) didn’t help. 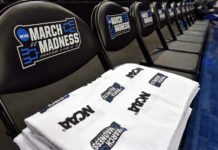 Commercials were long, it took the referees forever to make a call and don’t even get me started on the NCAA’s rule to stop the clock on first downs. That’s a whole other story in itself. But through the sloppy, unappealing play, the Buffs pulled out an impressive defensive victory. They held UCLA quarterback senior Mike Fafaul-starting for the injured Josh Rosen– to 15 completions and 185 yards with a QBR of 21.1. He looked uncomfortable all night as the Buffs front seven pressured him into bad throws and allowed UCLA to score only 10 points, seven coming after a turnover deep in Colorado territory. 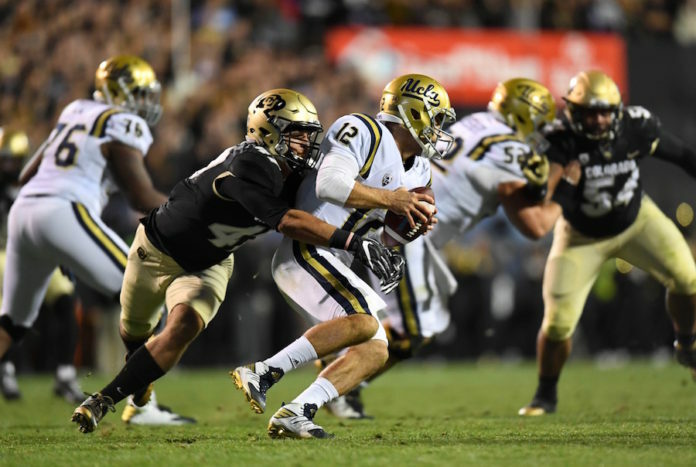 The offense might be struggling over the past two games, as Sefo Liufau continues to look scared in the pocket and the playcalling seems pretty stagnate, but the defense has held opponents to an average of 6.5 points in the last two games. Yes, Stanford scored five points, but the last two came on a safety and had nothing to do with the defense. The defense is playing on a level Colorado hasn’t seen since the 90s, and that is the reason they’re 7-2, have clinched their first winning season since 2005 and atop the Pac-12 South controlling their own destiny. Getting back to Liufau, though, he only completed 19 passes for 143 yards, two interceptions and a QBR of 31.2. As I was watching the game, not only does the offense seem pretty predictable, but the Buffs weren’t taking as many chances in the air as they have during their first seven or eight games. Bryce Bobo had two receptions for seven yards and Shay Fields had three catches for 39 yards. Both recievers have a very good chance to go to the NFL, and I think everybody knows you need to get them the ball or at least give them the chance to make a play. Devin Ross only had three catches for 24 yards and dropped one of the only good throws of the night from Liufau on a deep ball in the third quarter. Special teams finally came through as Chris Graham hit two out of his three field goal attempts, and Isaiah Oliver, who took over for Jay MacIntyre as the new punt returner, put the game out of reach with an electrifying 76-yard punt return late in the fourth quarter. Oliver averaged 24.8 yards a return and revitalized a unit that is ranked last in all of college football. 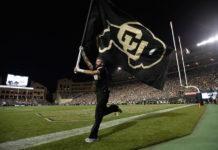 The offense is too talented not to work things out, but as the season comes down to the most important games CU has played in almost a decade, including back to back home games to finish off the season against Washington State and Utah, this defensive unit might need to take the driver’s seat in order for this year’s version of the Colorado Buffaloes to go places they haven’t been in a really, really long time.